London (Reuters): Britain’s transport minister has defended awarding a 14 million-pound ($18 million) contract for shipping goods after Brexit to a new ferry company that owns no ships. The government last week awarded three contracts to charter extra ferries to ease congestion if the United Kingdom fails to secure a trade deal before leaving the European Union in March. The smallest contract was won by Seaborne Freight, a British business that has never previously operated a ferry route, raising concerns about whether the new service would be ready. He added that he believed channel ports would be able “to operate normally in all Brexit circumstances”.But the United Kingdom is due to leave the EU on March 29, and the risk of a no-deal Brexit is growing — a nightmarish prospect for many businesses, which are now planning for an economic shock. Extra ships will be needed to work new routes across the Channel if the main terminals of Calais in France and Dover and Folkestone in Britain are clogged by customs checks. Currently, Britain’s membership of the EU means that trucks drive smoothly through border checks within the bloc. 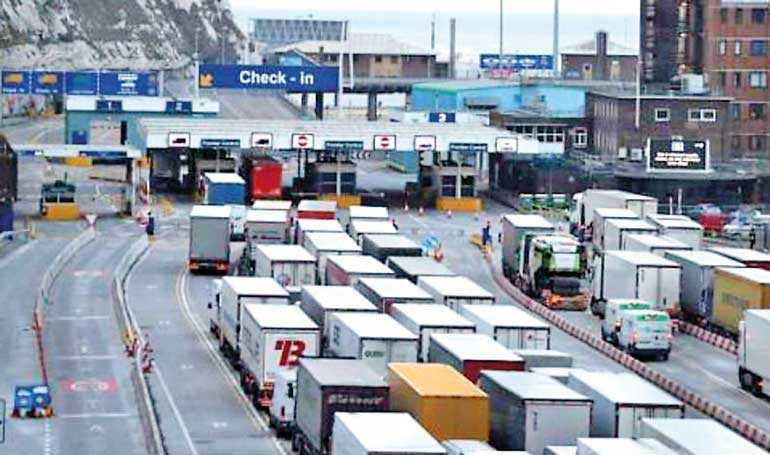 But in a no-deal Brexit, even a few minutes’ delay at customs for each truck could mean vehicles backed up at ports and queued on feeder roads on both sides of the Channel.To ease a potential backlog, the government has awarded Seaborne Freight a contract to operate freight ferries from Ramsgate to the Belgian port of Ostend. Grayling, who campaigned for Brexit before Britain’s EU referendum, also said that Britain would be able to cope with a no-deal Brexit, saying he was confident that it would not cause problems at British ports.